Sri Lanka is a resplendent island, famous for its scenic beauty and its Theravada Buddhist cultural heritage. Our great nation epitomized the great and good in human nature. Compassion, selflessness, generosity, integrity and, above all, merciful benevolence, are qualities that shine through our long history. Our culture and lifestyle was based on Buddhism in the most pure form, Theravada Buddhism. A young man observed the terrible destructive forces around him that desecrated Buddhist holy places and massacred innocent civilians, and took the noble and courageous decision to serve his nation by joining the army. His aim was to protect the nation, defend the unitary state of Sri Lanka and its Buddhist cultural heritage. For him, this was an extremely difficult decision, as he was brought up to respect all life. This brave young man was Sergeant Sunil Ratnayake, who has now been betrayed and condemned to death. He is not a Royalist or a Thomian. Although the crime he is alleged to have committed is inhumane, it must be explored and judged in the appropriate context, and it is crucial to take his mental state into account. Whilst justice has to be rendered to the victims, we must not forget that, in this case, Sergeant Sunil Ratnayake is also a victim himself; not only is he is a victim of the terrorists; he is also a victim of the corrupt political administration and the judiciary. The emergence of the terrorist groups, and the anarchy and misrule which have resulted have been caused by corrupt and cruel politicians who are driven by greed and ambition. The duplicity and double standards of the politicians, law enforcement agencies and the judiciary should all be held responsible for crimes committed in this state. The guilty are those politicians who brutalized this nation, resulting in the forming of a tyrannical state and the construction of torture chambers around the island with scant regard for the Buddhist cultural heritage or humanity. They are also responsible for the establishment of death squads, such as PRRA, the Green cats, and the Black cats. With their white vans, these groups were responsible for a level of savagery hitherto unknown in Sri Lanka (1987-1994). Double standards and Duplicity of the Judiciary, Law Enforcement agency and the Parliament. The attitude of the Sinhalese is of profound concern to the civilised world. Vinayagamoorthy Muralitharan (Karuna Amman), a Tamil Tiger terrorist was appointed as a National List Member of Parliament for the United People’s Freedom Alliance in 2008. He is guilty of desecration of Buddhist holy places and is behind some of the most brutal atrocities ever committed by the Tamil tiger terrorists. Rather than being judged and sentenced to death, he was rewarded for his crimes against the nation and against humanity by being made a member of Parliament and then sworn in as the Minister of National Integration in March 2009! In this context, it is only right that the life of Sergeant Sunil Rathnayake should be spared. This would be a justifiable act of mercy and clemency; it is the wish and will of this nation. Why has the United Nations not investigated members of Parliament in Sri Lanka for their alleged crimes against this nation, such as the torture cells constructed in Sri Lanka 1987-1994) and the establishment of death squads? Have they investigated how the Tamil tigers accumulated so much wealth? Who has been funding the terrorist activities of the Tamil Tigers for 26 years? Psychiatric Assessment and Evaluation to Render Justice. The necessary procedures and processes should have been followed to ensure that Sergeant Ratnayake received a fair trial. However, Sergeant Sunil was in an extremely hostile environment where he had been fighting for both his country and his own life. As a result, he suffered years of mental and physical trauma. These factors may have caused him to suffer from Post Traumatic Stress Disorder, leading to a transient imbalance in his mental state with a psychotic episode. Without a proper psychiatric assessment and evaluation, he cannot have received a fair trial and is a victim in all aspects. A sentence to engage in a programme of rehabilitation would have been appropriate and justified. Sergeant Ratnayake has been targeted for punishment, while war criminals are leading a life of freedom and luxury and are not being held to account for their criminal activities. The nation demands justice, which should be rendered without fear or favour. Criminals should not be entertained in the highest echelons of Sri Lankan society or permitted to enter Parliament. Betrayal and treachery are considered to be the most evil acts that can be performed by a human being, a civic society, or a nation.The greatness of a human being, a nation or a civilisation is measured by acts of mercy for the vulnerable in society. 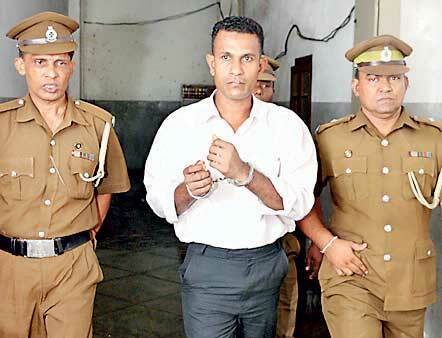 The vulnerable Sergeant Ratnayake was selectively chosen to be sentenced to death by two judges. It is an act of great betrayal, therefore he should be granted clemenccy to render justice. The case against Sergeant Ratnayake has dragged on for over a decade. Regardless of his guilt or innocence, this in itself has already subjected him to untold mental and physical trauma. Sergeant RM Sunil Ratnayake should not be made a scapegoat or a martyr, he should be granted a reprieve.